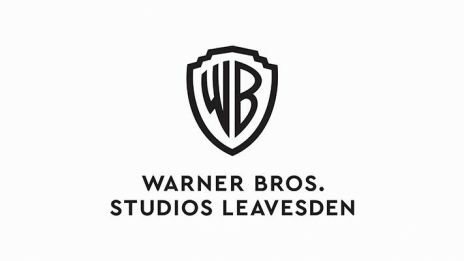 Warner Bros. Studios Leavesden (WBSL) is a purpose built, state-of-the-art film and television studio offering one of the largest facilities in the UK, incorporating WB Production Rentals, WB De Lane Lea and WB Leavesden Park. Warner Bros. Studios Leavesden has its own, on-site Production Rentals division. Set Lighting and Set Rigging provide the film and television industry with state-of-the-art lighting , scaffolding and rigging equipment to suit all Studio and location requirements. With a large and extensive inventory, the departments are able to service a broad range of productions including feature films, TV, commercials and music videos. Set Lighting and Set Rigging also supply to productions internationally, facilitated by partnerships with Lighting Companies in regions outside the UK including Southern Ireland, Belfast, Hungary and Spain. Credits include: Badlands, Jamestown, Grantchester, Penny Dreadful, The Royals, Dickensian, Cinderella, Maleficent, Hercules, The Foreigner, Fantastic Beasts and Where to Find Them, Arthur, Dunkirk, Mission Impossible: Rogue Nation. Warner Bros Leavesden Park is an office complex situated next to Warner Bros. Studios Leavesden providing both production office space and long term tenant space. It is an ideal location not only for those working directly with the Studio but also for those in the wider creative industries. We offer modern, well maintained and practical office accommodation within a peaceful environment. There is ample private parking, a cafe, 24 hour security and an on-site management team ready to respond to your needs. Leavesden Studios were fantastic to do business with throughout my production of Mission: Impossible- Rogue Nation. They offered seamless services and everything was taken care of quickly and efficiently. Emily, Dan, and the rest of the staff were flexible and accommodating and went out of their way to make our time there as trouble free as possible. It is a new facility with great stages and a state of the art tank. There’s also ample backlot and paddock tank. The location is ideal, situated just off the M1with Watford and St Albans right on your doorstep. It’s a great place with great people and I look forward to working there again soon.